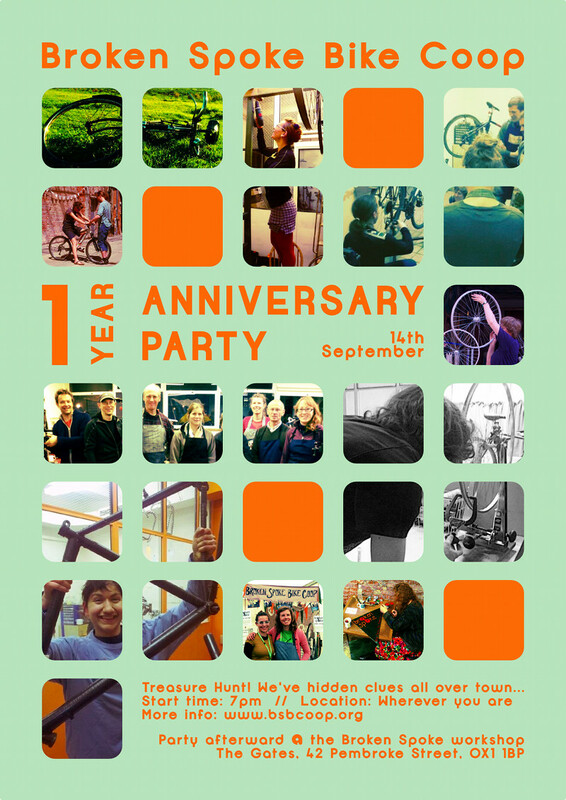 Broken Spoke Bike Co-op | 1-Year Anniversary Party! It’s here, it’s almost here! ARE YOU READY?!? 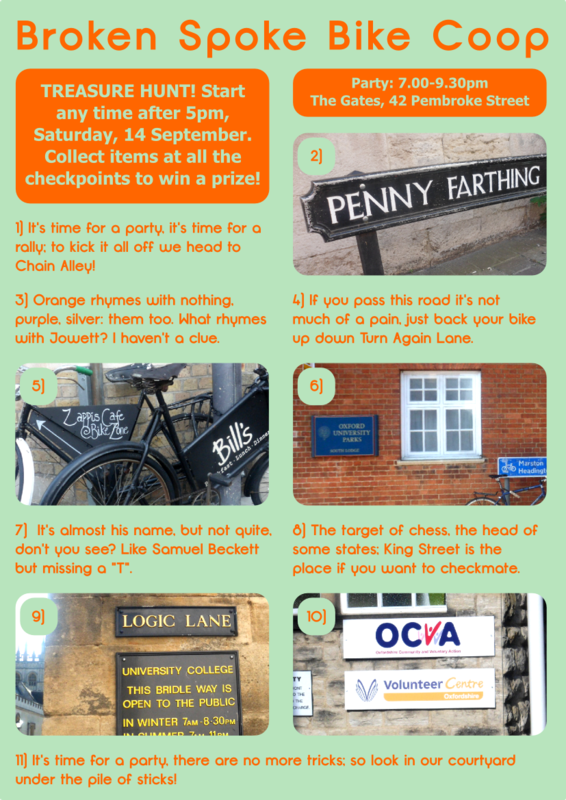 Here are the clues for our treasure hunt on 14 September! You ARE allowed to use a map, you ARE allowed to work in teams, and there WILL be a free keychain and/or tyre levers if you visit all the checkpoints. Start any time after 5pm next Saturday, and join us for the party at 7pm.